The tip of the Dream Wand provides soft, gentle light. 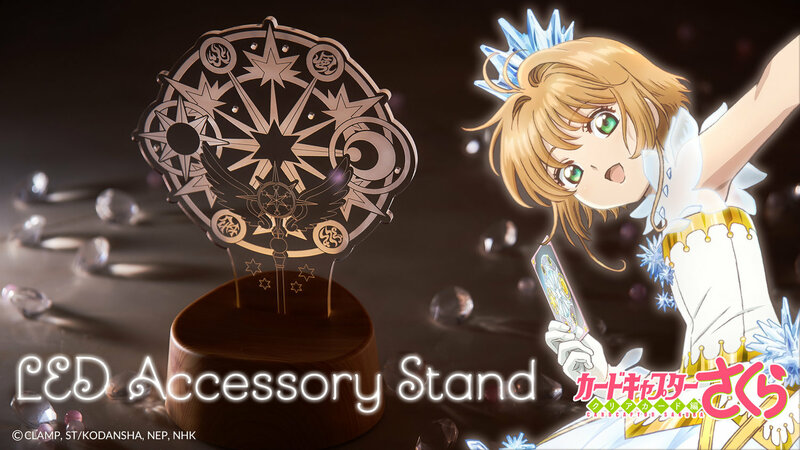 An accessory stand with an LED light based on the popular and currently running anime Cardcaptor Sakura :Clear Card that will brighten up your room is here! You’ll be absolutely fine, even in complete darkness. 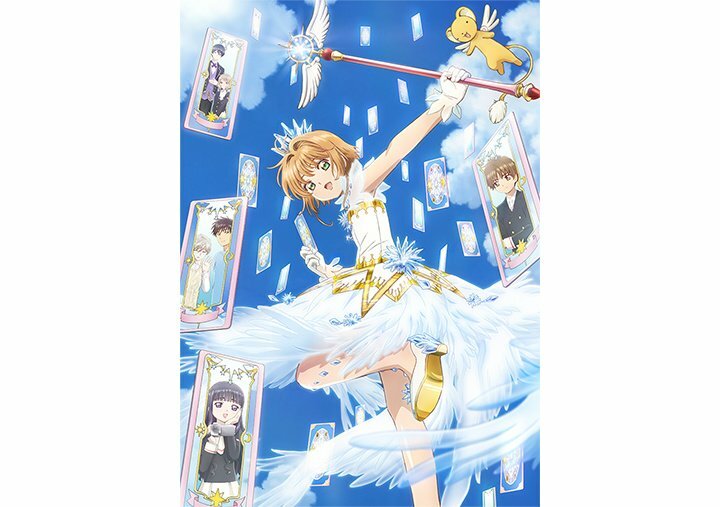 An LED accessory stand based on Cardcaptor Sakura :Clear Card that will provide your room with light is here! 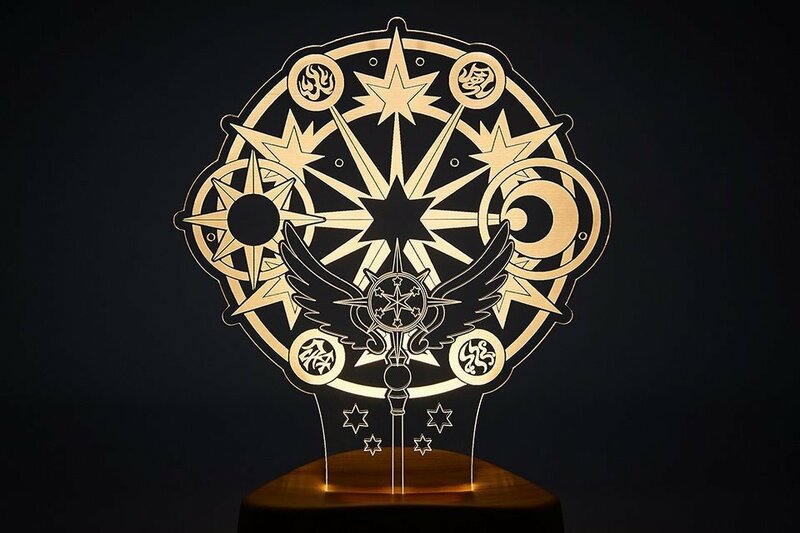 Following the necklace and card case projects, the latest Cardcaptor Sakura and Tokyo Otaku Mode collaboration item is an accessory stand with an LED light which features the Dream Wand and a magic circle. 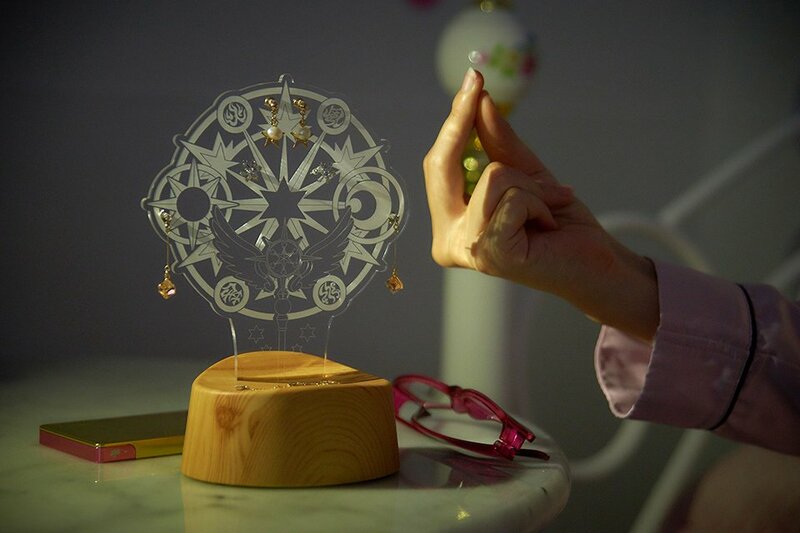 The acrylic section is engraved with a bold magic circle and the wand, and includes holes to hang earrings, as well as for decorating it with other accessories of your preference. 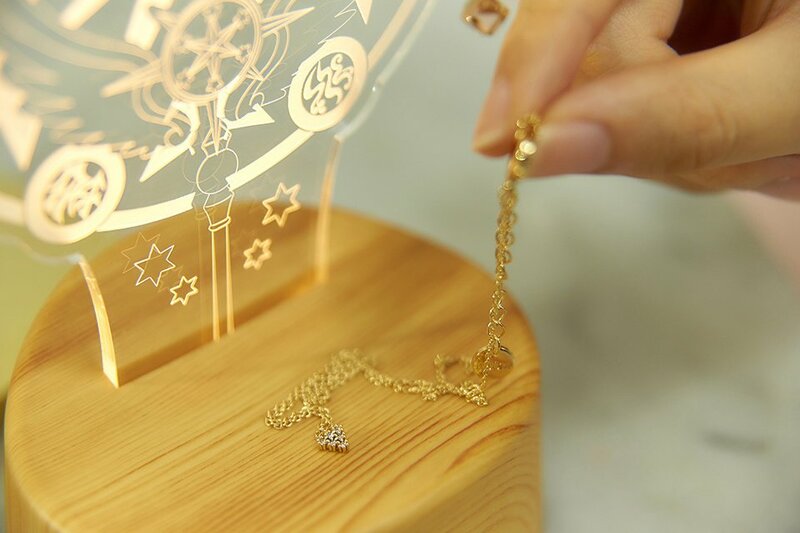 The base is shaped in the form of a tray and can be used to display rings. 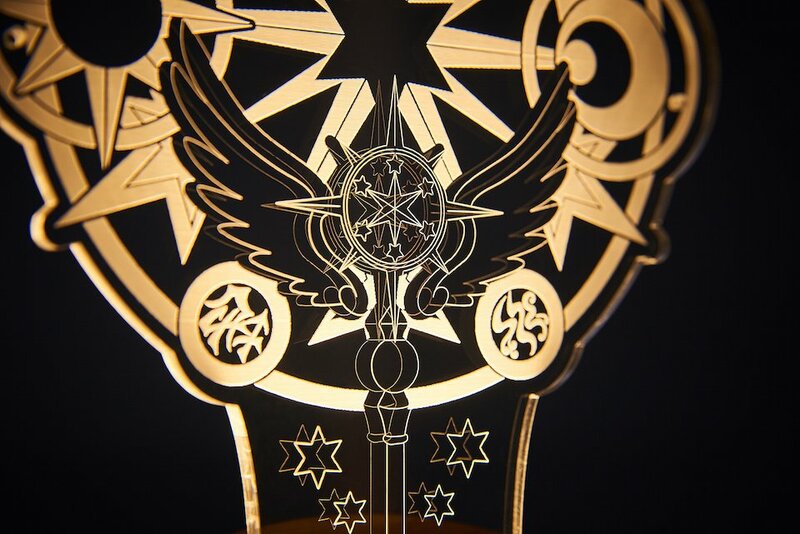 The base has a built-in LED light, which shines soft light onto the wand and magic circle. 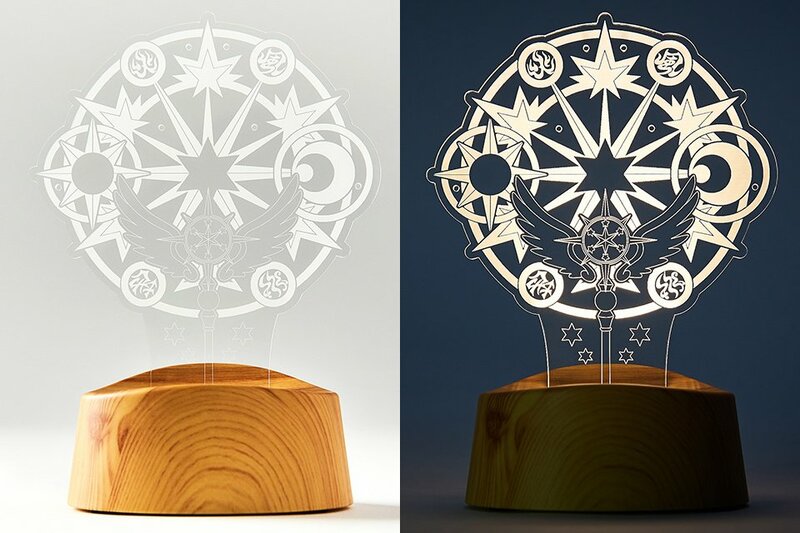 The acrylic section is laser engraved on both sides, creating a three-dimensionally emerging wand and magic circle when turned on. 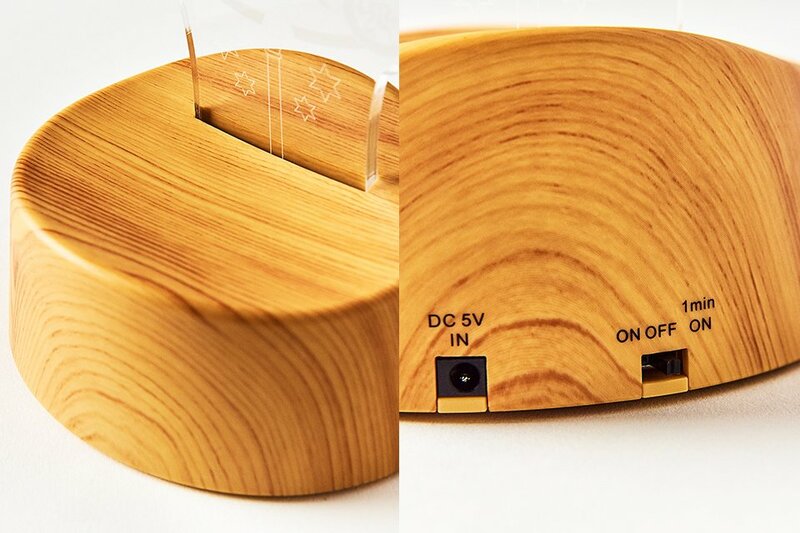 The LED light includes a switch for turning it on and off, a sound sensor which can be used to control the item, as well as an automatic turn-off function. 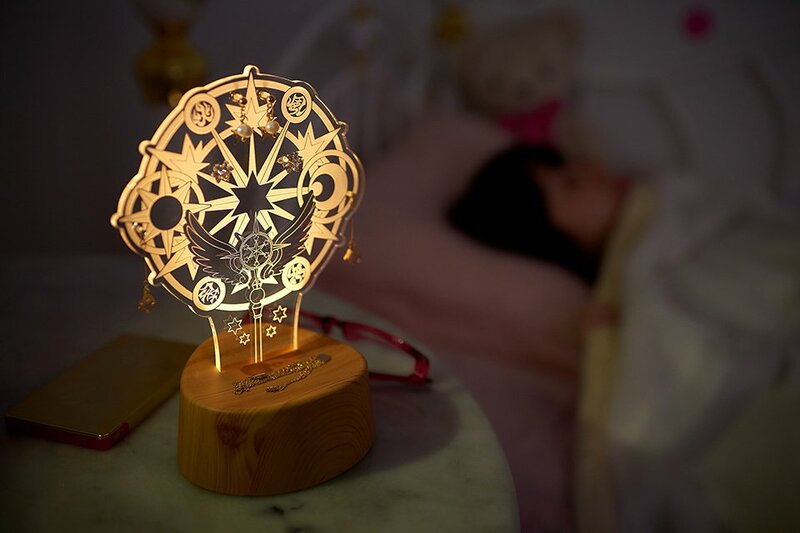 It can even be placed beside your bed to be used as a night light when sleeping. Its sound sensor and automatic turn-off function allows you to sleep comfortably without leaving your bed. It has a simple appearance consisting of white, clear and wood materials, and can easily be matched with various rooms. Its cordless design allows it to be carried anywhere. 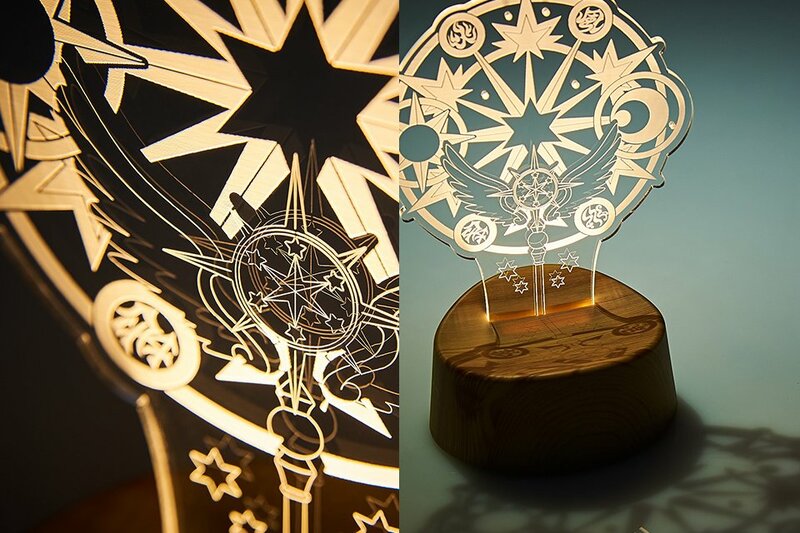 The stand can be used in many different ways, and was created as a useful item that can be used to match the user’s lifestyle. 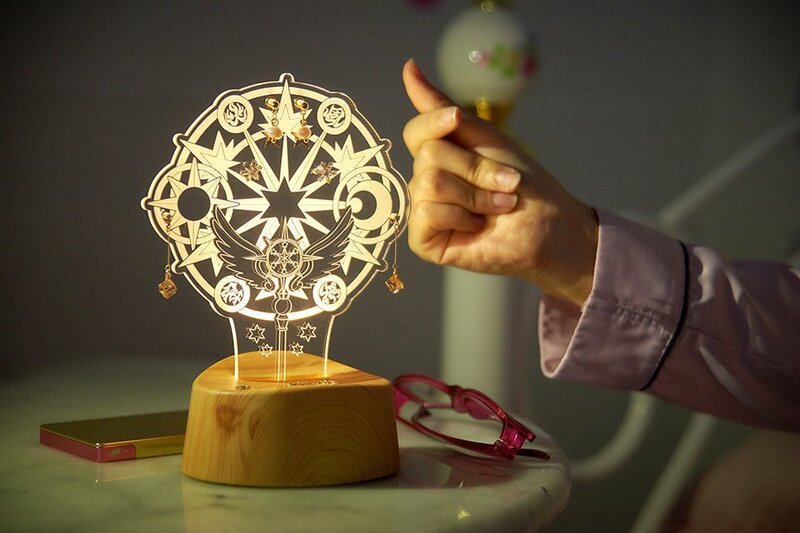 A great item that lets you enjoy the world of Cardcaptor Sakura through its soft light in your everyday life. Keep away from fire and heating appliances, as they may cause deformation, alterations or fires. Do not disassemble or customize. This may cause injuries and malfunctions. Please place the product on a solid surface, such as a horizontal table, to prevent damage. Stop using the product if it becomes deformed or damaged. 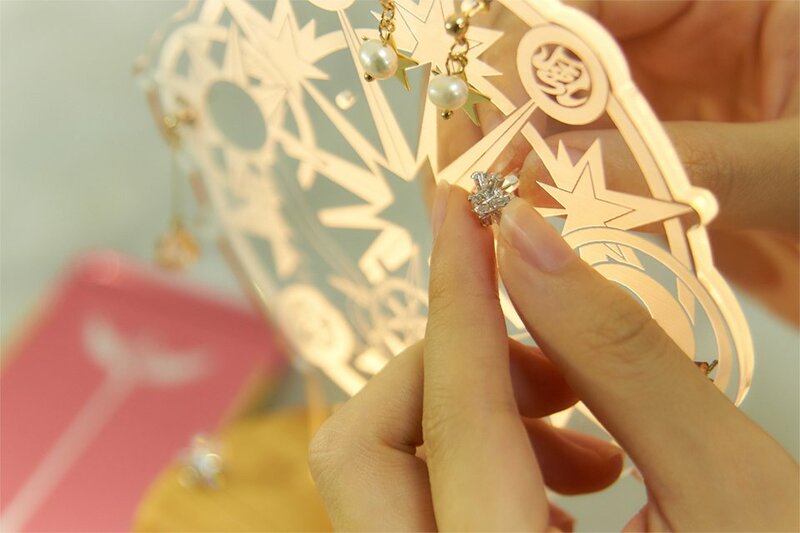 The acrylic sections are very fragile. They may be damaged if dropped from a high place. Please make sure the product is being used safely when in the hands of infants, the elderly, and pregnant women. The structure of the product may cause injuries. Please use the product safely. 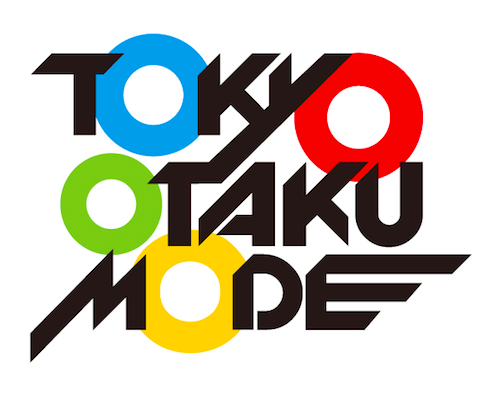 Pre-orders end August 31, 2018 at 11:59 PM JST. Shipping is planned to begin when production finishes in late September 2018. Toyo Case is a company that manufactures and sells a wide variety of products, such as storage goods, miscellaneous goods, lunch-associated goods such as lunch boxes, and other items. 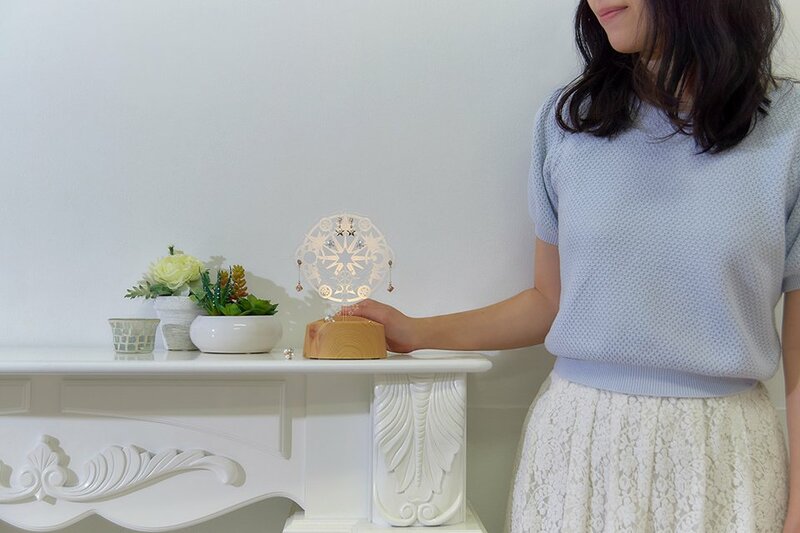 It strives to be a company that always creates new miscellaneous goods that make customers think, “I wanted this!” and, “I was looking for this kind of item,” through product development, and aims to bring warmth to everyday life and "satisfy the heart" with its products. A: They are scheduled to be shipped starting in late September 2018 after production is complete.